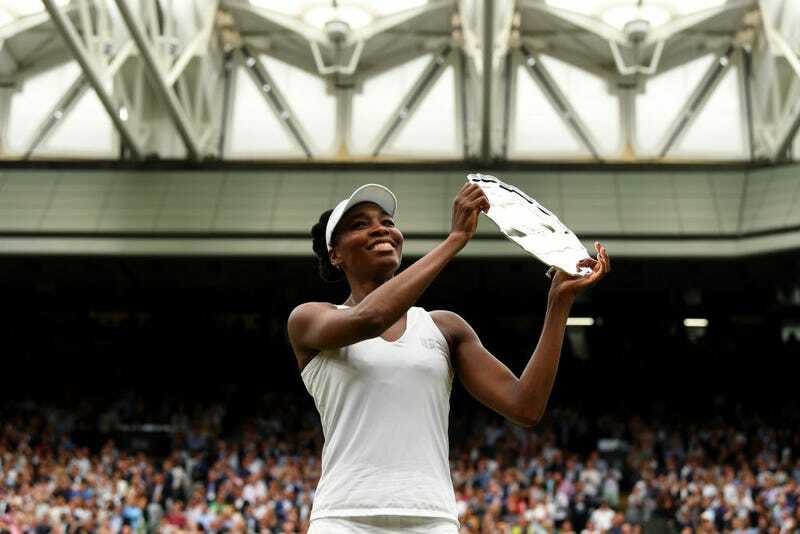 Venus Williams was defeated by Garbine Muguruza in the Wimbledon final. But that didn’t stop Muguruza from praising her opponent. Muguruza won the match with a 7-5, 6-0 victory over Williams, who could have became the oldest woman in the Open era to win a grand-slam title. Muguruza is now the first tennis player to beat both Williams sisters in a grand-slam final.